Sinai Israel Tour is a comprehensive Tour of the land of Israel for Year 11 in the summer. We travel from the North to the South taking in all of the wonder that Israel has to offer. We sleep in different hotels/hostels in each location and normally have breakfast and dinner in the hotel. During the day we are out and about visiting classical tourist sites like Rabin Square, engaging with our religion at the Kotel, examining our Zionist history at the Palmach museum, meeting the different cultures of Israel as we camp out in a Bedouin tent, seeing the many different people who make up Israel in Machane Yehuda, testing our mettle doing watersports in Eilat and hiking up some of the most famous and beautiful mountains for some breathtaking views. Generations of chanichim have come back from Israel Tour with a newfound commitment to their religion, their land and with memories and relationships to last a lifetime! 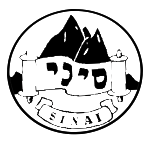 This year Sinai Israel Tour takes place from Sunday 8th July – Tuesday 31st July 2018! Every day on Tour takes in up to 12 hours of non stop activities from the adrenaline rushing to the emotionally charged, from the ancient to the most recent. We engage with Israel from North to South taking in the key religious and Zionist sites alongside some water-sports, hiking and abseiling! As if that wasn’t enough, every evening is carefully planned out by our Madrichim to include thought provoking Tochniot, cutting edge panel debates and trips out! Examples in the past have included a private concert, a karaoke night and a night run with glow in the dark t-shirts!! 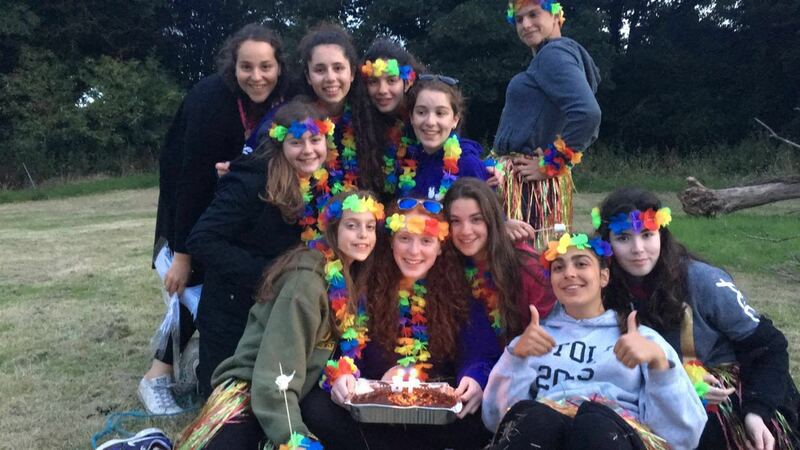 Our Madrichim use their personal knowledge of Israel to make sure that our Chanichim are taken to events in Israel which no one else will go to! Think that Tour is only about the day? Well think again! On Sinai Tour, our evenings are just as important to us and just as action packed than our long days out! We have action packed evenings which have included in the past private concerts, karaoke nights and a night run! Our Tochniot are renowned for their inventiveness and value for the chanichim. These are group activities that inspire and challenge the chanichim in an informal and fun atmosphere. We have Shiur every single day of Tour. Given in small groups by our Madrichim, these challenge our Chanichim to engage in the theme of our Tour. We had shiur at the Rothschild’s cemetery located in a beautiful garden followed by a mesiba b’autobus!!! This was definitely the highlight of the day after a more sombre day before. It was a great way to rejoice after the period of mourning. Only on Sinai Tour are you guaranteed to be with your friends, both boys and girls. Every year our Chanichim on Sinai Tour emerge with an incredible group of friends who remain together for years to come! Our Madrichim and organisers know our Chanichim and are therefore able to guide them personally both during the Tour and with all of the major decisions in the years after the Tour. It is vital to have this support network to help with the defining decisions over the next few years. This year our Tour is a day longer than the other Tours and over £200 cheaper as we have worked very hard to ensure that we do not pass on changes in the currency. So you quite literally are receiving more for less!! On behalf of all the parents a massive thank you to all the madrichim for making this tour the most incredible experience for all our kids!!!!!!!!!! To sign up for the Tour you must pay a deposit by 31st January 2018. Payment must be made by bank transfer to West End Travel. Account Name: West End Travel Ltd, Account Number: 10961620, Sort Code: 20-36-47 (Please put ‘Sinai Participant Full Name’ as a reference as they also organise many other Tours) or by cheque made out to West End Travel Ltd. Please post this to 4-6 Canfield Place, London, NW6, 3BT. The price is fully inclusive of flights, accommodation, 3 meals a day, madrichim, a full itinerary and medical insurance. Sinai Youth endeavours never to turn anyone away from our camps for financial reasons. Please apply for a bursary by 31st January 2018. All correspondence is dealt with in complete confidentiality. For any queries please email bursaries@sinaiyouth.org. Please note that Sinai Youth cannot guarantee any grant applications and may prioritise early applications or those from regular attendees.